I usually wait up for EJ to get home from work and we talk for a while before I go to bed. Last night he texted me that he had to work late and didn’t know when he would get home so I went to bed. I didn’t sleep well until I heard him arrive home at around 3 a.m. I could hear him talking to JJ as I drifted off to sleep. I heard a ruckus outside this morning. I looked out my kitchen window and saw a Common Grackle sitting on the bird house while a male and female sparrow attacked him. They were all very agitated. I have seen sparrows taking grasses into the various birdhouses as if they are building nests. Since it’s not the season for them to raise young, I’m assuming that they are making their nests warm and comfy for winter. I needed to go to the store to pick up a few items that I forgot to put on the list when EJ and JJ went shopping Sunday night. I waited until about 11 a.m. to leave to give the thick fog a chance to dissipate. I love to walk in the fog–it makes everything look mysterious and I always have the sensation that the fog might take me back in time. However, I hate to drive in fog. I always remember that my the husband of my sister’s best friend in high school died in a head-on collision in thick fog years ago. So I waited for the fog to clear this morning. EJ said there was freezing fog as he drove home from work last night….or, rather, early this morning. He offered to come with me–we love to shop together–but I knew he was exhausted so I told him to stay home. The grocery store is in a nearby town. The sky was mostly blue but at the horizon I could see where the fog was lifting. I thought it looked like smoke from a forest fire. The trees were gorgeous and the leaves fell constantly in a rain of gold and red. It was very beautiful. If EJ had been with me, I would have taken pictures. I drove along drinking in the beautiful colors. Autumn colors fill me with deep happiness. Years ago, our single’s group (where EJ and I met) were led by a husband and wife. The wife was a Color Me Beautiful beauty consultant and one day she analyzed all of us to determine what colors looked best on us. We had a lot of fun that day. The color palettes are categorized by seasons: Winter colors are bold “cool” colors and Autumn colors are bold warm colors–the browns, golds, reds, and olive greens seen in the autumn. Spring and Summer colors are pastel–I believe Spring is a warmer palette and Summer is a cooler palette, but can’t quite remember. My colors that look best on me are the autumn colors Surprise! Maybe that’s another reason why I love autumn so much. 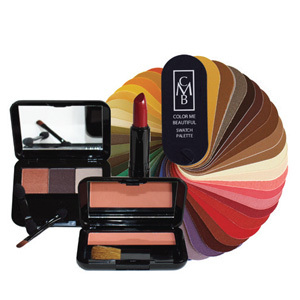 If a person doesn’t have a beauty consultant, she can get an idea of the colors that look best on her (or him) by looking at the colors their clothes tend to be or the colors in their houses. A person will usually choose colors they are drawn to and those are the colors that often look best on them. After EJ left for work, Danny and I went for our walk. The day was very gorgeous and I couldn’t resist taking more pictures. I loved the deep blue sky. The leaves are rapidly falling off the trees so it won’t be too many days before the trees are all bare. Every night when EJ comes home from work, the pets run up to welcome him home. It’s really cute. Tonight I was finally able to get it on video. All the pets ran up to him, but a couple of the cats were just out of camera view. Most of our pets are black so they are a little difficult to see. Beautiful are the leaves but it still let me think about the millions of seedlings you have to pull out every spring 😦 Of the meapletrees. Lovely the homecoming of EJ he just doesn’t have enough hands to pet them all and give them all the attention they love to have. How many cats are living indoors and outdoors with you???? Oh, Simone! Don’t remind me of all the maple seedlings I have to pull up in the spring. There are thousands and thousands! We have four indoor cats and three outdoor cats. The outdoor cats also greet EJ when he comes home and he spends a few moments giving them lovings before he comes through the door to receive lovings from the indoor pets..